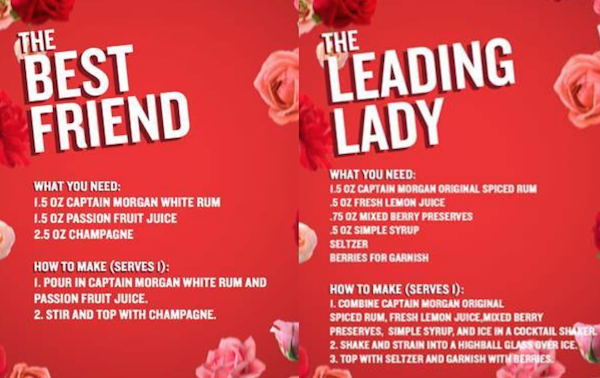 Love is in the air with Captain Morgan. This week the Isn’t It Romantic premiere sponsored by Captain Morgan saw Captain Morgan Chief Party Officer Adam Devine kick off the week of love. Captain Morgan brought fun, delicious rom-com and Valentine’s Day themed rum cocktails to the pink carpet at the Ace Theater in LA. 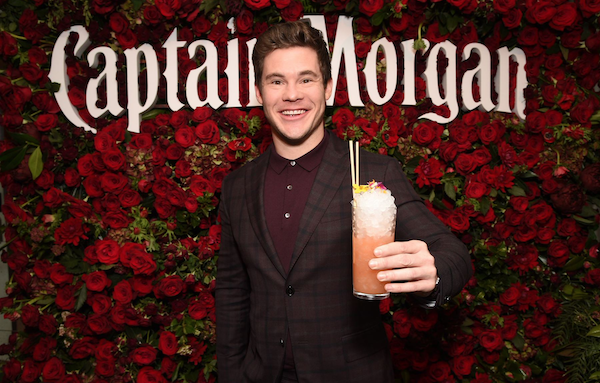 Ahead of the screening, celebrities and their guests enjoyed hanging out at the Captain Morgan bar while sipping a specialty Captain Morgan Love Bites cocktail named appropriately for the movie and the upcoming holiday. Following the screening, guests and media members attended the Captain Morgan sponsored after party at the NoMad Hotel where they could take photos in front of the Captain Morgan floral wall, use the onsite photo-booth and enjoy the premiere specialty cocktails once again. Check out these cocktail ideas below. Captain Morgan Blows Boring Drinks Up! Print article This entry was posted by Art Eddy III on February 13, 2019 at 6:57 am, and is filed under Lifestyle. Follow any responses to this post through RSS 2.0. Both comments and pings are currently closed.